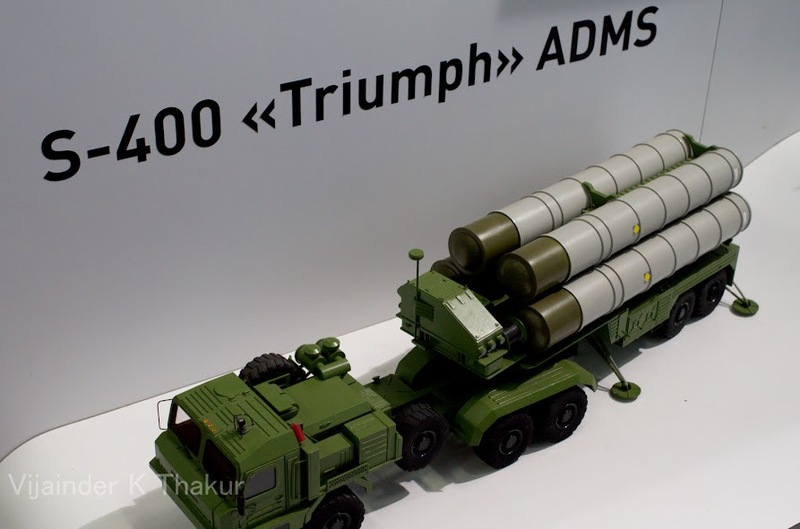 President Vladimir Putin has reportedly green lighted the sale of S-400 "Triumph" AD system to China and the two countries are negotiating the number of systems to be sold and their value. The sale of the Russian missile system to China, would inevitably erode the effectiveness of the already very limited Indian nuclear deterrence. Ironically, Russia has repeatedly offered the system to India, but India has spurned the offer, betting heavilly on its homegrown BMD system. On March 2, 2014 Service Director Alexander Fomin told "Kommersant" that the two countries are now negotiating a deal, following a go ahead from President Vladimir Putin in early 2014. Sources close to FSMTC, told Kommersant that initial negotiations are focused on the purchase of one battalion (eight launchers) of the missile complex. The Russian decision to sell the missile system to China is not linked to its dispute with the west over Crimea, says the official. The Russian General Staff and the Federal Security Service have in the past resisted sale of the system to China till their own demand for the system are fully met. The manufacturer of the missile, Almaz-Antey, has already commenced delivery of the first regimental sets of S-400 to the Russian troops. By 2020, 28 regiments are expected to be equipped. In January, 2014 Russian Deputy Prime Minister Dmitry Rogozin announced plans to build three new factories to produce missile defense systems, which would enable "Almaz-Antey" to step up production. However, sale of the missile system to China is unlikely to commence before 2016. In 2010, Russia fulfilled a contract to supply China 15 battalions of antiaircraft missile systems S-300. The S-400 (SA-21 Growler) is designed to intercept and destroy airborne targets at a distance of up to 400 kilometers (250 miles), twice the range of the U.S. MIM-104 Patriot, and 2.5 times that of the S-300PMU-2. The system is expected to form the cornerstone of Russia's theater air and missile defenses up to 2020 or even 2025.